Give the gift of a wonderful dining experience at Scott’s Seafood on the River. Click “Continue…” below to purchase your gift card via PayPal. You’ll receive your gift card in the mail via United States Postal Service. 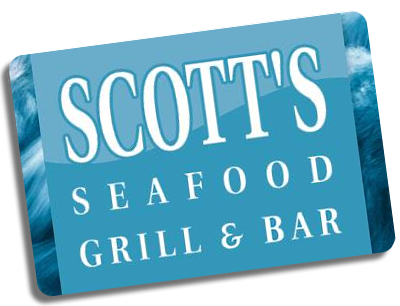 Scott’s Seafood on The River gift cards.